C.C. Myers founded Myers and Sons Construction to continuously deliver high quality, complex, multi-scope projects on schedule and budget by driving innovation, partnership, and the use of proven techniques and methodologies at every level without compromising safety. Myers has made a strong commitment to alternative delivery projects, such as Design Build, CMGC (Construction Manager / General Contractor) and CMAR (Construction Manager at Risk) projects, where our approach to teamwork and partnering are unmatched. Mr. Myers’ commitment to partnering excellence is recognized in the over 60 awards his firms have received while he was at the helm. Myers’ staff has developed an outstanding working relationship with DOTs and other agencies that focuses on safety and quality. 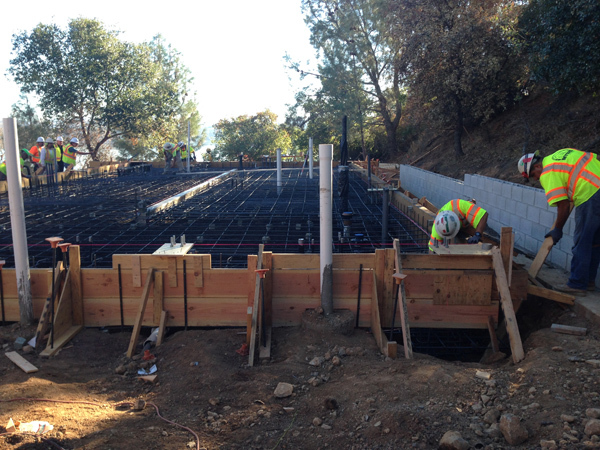 Our staff is well versed in the expectations of both third party stakeholders and the project owners’ expectations. Myers can leverage our experience and can-do attitude and expertise with successful methodologies to provide owners with the tools and expertise to succeed at every level. We deliver a truly outstanding resume of experience in guiding complex teams to achieve project goals in challenging construction environments, utilizing innovative approaches to ensure quality, best value and the safety of our workers and members of the public. Across the spectra of project delivery, the Myers team effectively partners with Owners, to reduce or eliminate project risk and implement innovative solutions that accelerate the project cycle, reduce cost, and minimize impacts to the public. We bring the tenacity and courage to overcome challenging barriers to project delivery, have a record of effectively managing contracts to minimize delays and claims and provide proven systems, processes and tools that enhance our project delivery approach. Myers and Sons Construction started by performing bridge and roadway maintenance projects and soon expanded to bridge construction and later water and wastewater construction. 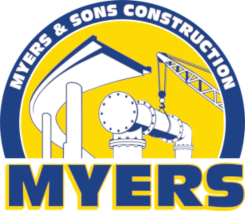 Today, Myers continues to focus on diversifying as a leading in heavy civil construction with yearly revenues in excess of $150 Million. Myers and Sons Construction was founded in 2010 by Clinton and C.C. Myers. Myers currently has an aggregate bonding capacity of over $1 billion.